Earlier today, I was talking( I don't know how many of you heard me) about the neon power that seems to used nowadays in design, clothes etc. And, of course my search, didn't end there. 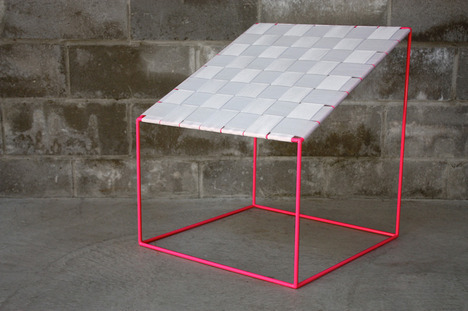 I found new designers that change the image of usual furniture or objects. 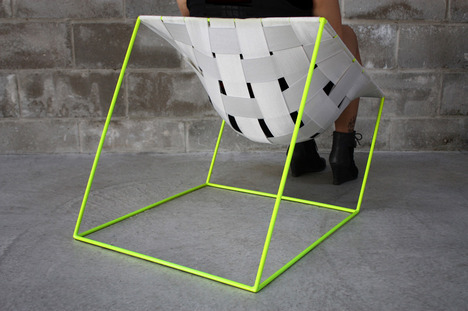 On the Voos Furniture site, I found a very simple but efficient adaptation of a chair.Conform chair by William Lee. Just a frame and a woven elastic fabric that is stretched over it, resembling a meshed canvas. It looks austere, but it has a connection with the human body that fills it, molding itself . 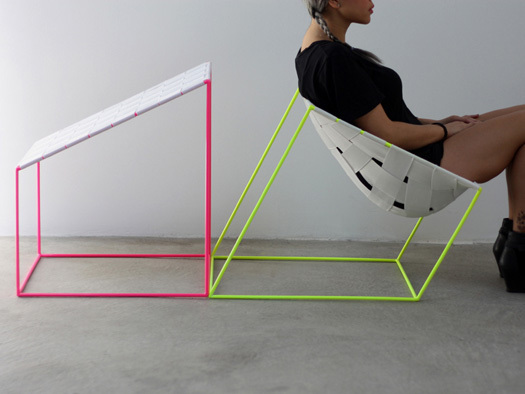 But if you want this chair you will have to buy both of them, when not used, they form a singular metal frame. They are a whole. See for yourself. Yes, and they have that touch of neon, I was talking about. Cool enough for you?